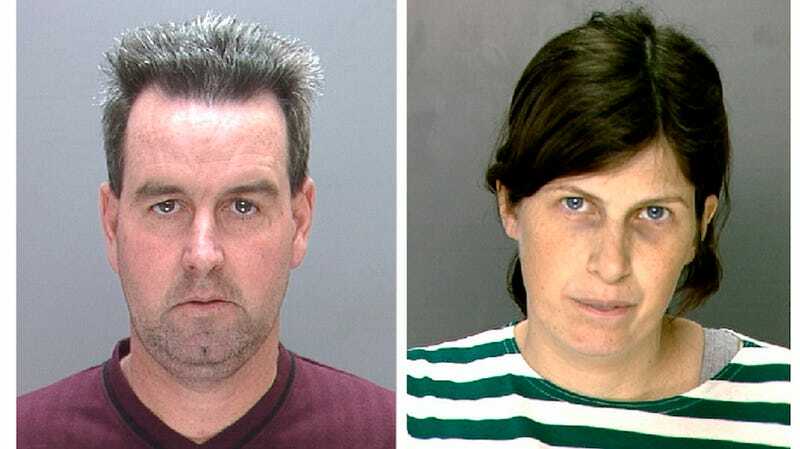 Pennsylvania couple Herbert and Catherine Schaible were sentenced to 3.5-7 years in prison yesterday after pleading no contest to third degree murder in the death of their 8-month-old son Brandon, who passed away last year from complications stemming from treatable pneumonia. The Schaibles — who are devoted Pentecostalists — refused to seek medical attention for their son, instead relying on faith-healing. The pair were already on probation for the death of their two-year-old son Kent (who also died from curable pneumonia) in 2009. Following Kent's death, the Schaibles were charged with involuntary manslaughter, given 10 years probation and a court order requiring yearly doctors check-ups for their children and demanding that they seek medical attention if any minor in their family fell ill. Sadly, they instead continued to rely on faith healing, even when Brandon began showing the same pneumonia symptoms that had been exhibited by his older brother years prior. During court proceedings, the Schaibles' defense attempted to argue that the couple's religious beliefs "clashed" with the 2011 court order. As Catherine Schaible told the court, "My religious beliefs are that you should pray, and not have to use medicine. But because it is against the law, then whatever sentence you give me, I will accept." Her husband Herbert gave a similar statement when he was arrested last year, telling police, "We believe in divine healing, that Jesus shed blood for our healing and that he died on the cross to break the devil's power." Judge Benjamin Lerner did not accept the couple's religious beliefs as an excuse, stating, "April of 2013 wasn't Brandon's time to die. You've killed two of your children... Not God. Not your church. Not religious devotion. You." Arguably, while Herbert and Catherine Schaible bear the large brunt of responsibility in the deaths of their children, the church did play a role. Following Kent's death in 2009, the family's pastor Nelson Clark informed the couple that their toddler was taken due to a "spiritual lack" in the parents' lives. Brandon was also failed by the courts. Following the death of Kent, Assistant District Attorney Joanne Pescatore (who prosecuted both cases) requested that the Schaibles be observed by a Department of Human Services caseworker who specialized in children's welfare. Public defender Mythri Jayaraman agreed, with both of them having concluded that the Schaibles' religious beliefs were too deeply ingrained to trust them with their offspring. The judge instead assigned Herbert and Catherine to probation officers. "It was so foreseeable to me that this was going to happen. Everybody in the system failed these children," Pescatore said. Catherine Schaible told the courts that she no longer believes in faith healing, adding, "I didn't know what to do when Brandon was sick, because it was much quicker. The D.A. is actually right. I feel like I failed as a mother because they're not alive." Brandon and Kent have seven surviving siblings. Six are now in foster care or living with relatives (the seventh is 18). For the first time in their lives, they're receiving medical and dental care and attending public school.